Professional Print Preferences XYZware Pro. The da Vinci Pro comes bundled with software that enables you to adjust multiple settings, such as speed, print support, and Retraction. By being able to provide settings for Retraction, you can print objects without any streaking or smudges that occur when the extruder moves across the print – ensuring that your prints come out perfect every time! The new aluminum print bed makes for a durable heating surface that rapidly distributes heat evenly and decreases the chances of print warpage better than the common glass print bed. Simply cover the bed with masking tape, adjust the heat setting appropriately, and watch your prints stick to the print bed effortlessly. The da Vinci 1.0 Pro has Home WiFi connectivity! 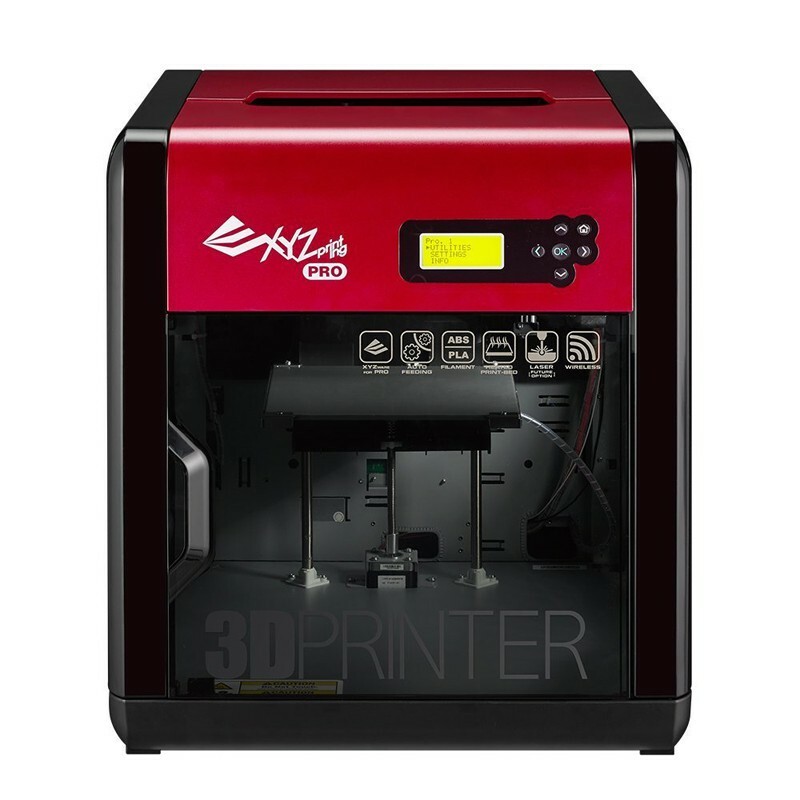 The Pro is perfect for Makerspaces since it allows you to wirelessly send print jobs from anywhere in your home network by using Windows and Mac computers, as well as the XYZgallery app available on Android devices. Send your own designs from your computer, or access the thousands of 3D models available in the XYZgallery app from your Android device. Your printer, your choice! The da Vinci Pro has an optional laser engraver add-on that will allow you to etch your own creative path on various materials such as wood, leather, and cardboard. Note: Standard VGA driver on operating system, or a graphics card doesn't support OpenGL 2.1, may cause unknown error in XYZware Pro.